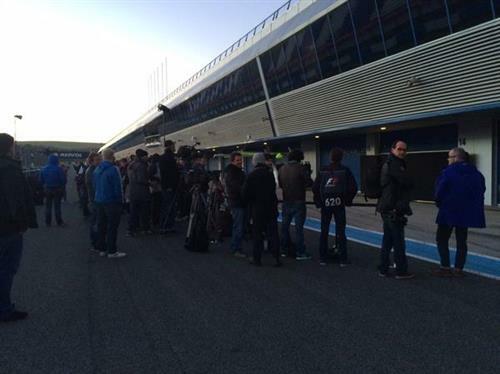 Hello and welcome to ESPN’s first day of 2015 pre-season testing from the Jerez circuit in Spain! Abu Dhabi seems a long time ago now, doesn’t it? Lots of action today. 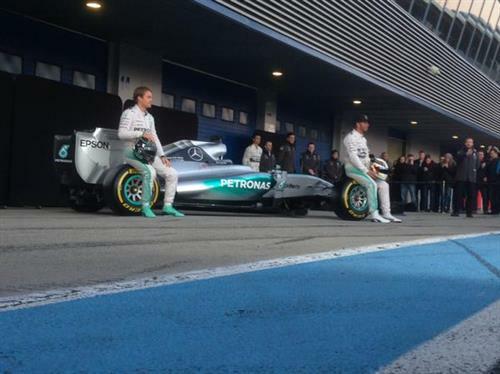 Mercedes and Lotus will officially unveil their cars in the pit lane. 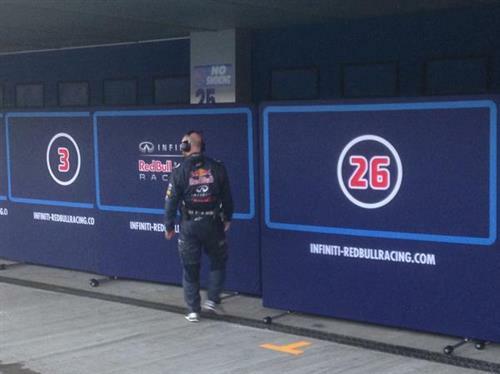 Red Bull are due to .... but rumours this morning suggest the team will not do so today. Watch this space. 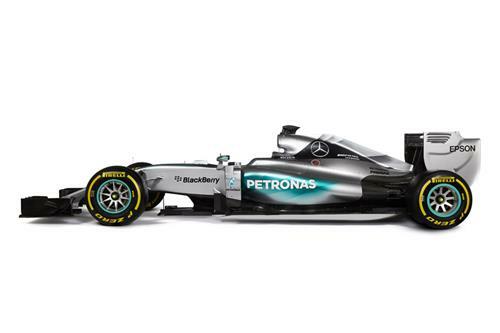 Mercedes will launch the title-defending W06 shortly. 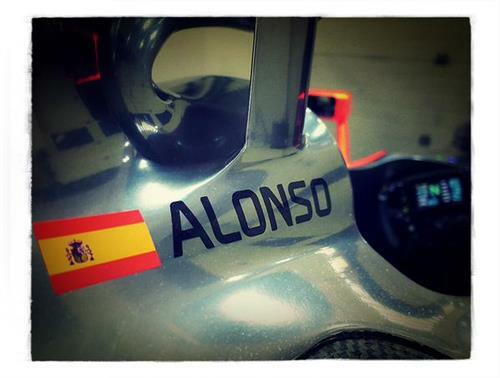 The first test kicks off at 9am local time, 8amGMT. 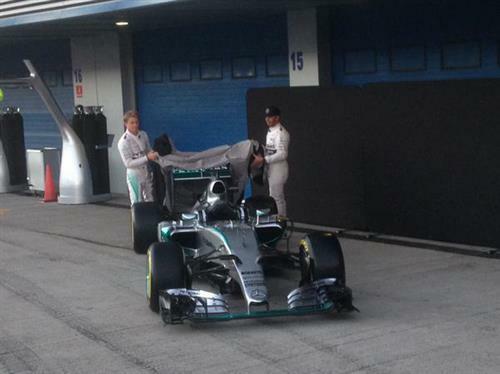 That's the Mercedes W06 under the covers. And there it is. Is this the car to defend the world championships this year? 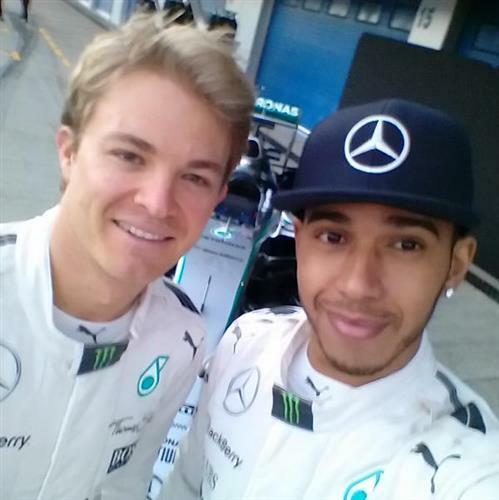 Rosberg and Hamilton are now posing together for a selfie in front of the car. How will their relationship hold up this year? 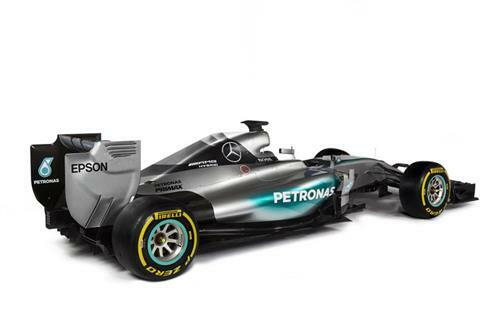 It's hard to look past Mercedes, especially for the first race in Australia. There advantage at the end of last year was thought to be around 60bhp. 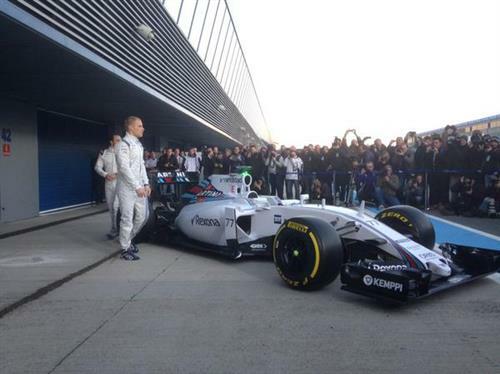 Williams is set to launch its own car just a few metres down the pit lane. 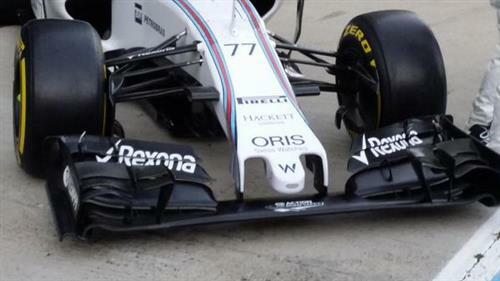 The striking nose of the FW37. Good to finally be back to some F1 action after months! 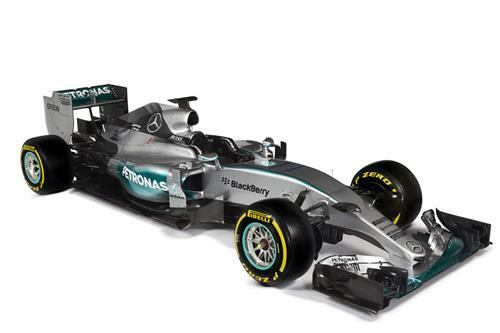 A very short nose solution from Merc there, but that's pretty much in line with the W05. So, this should be an interesting start to testing. 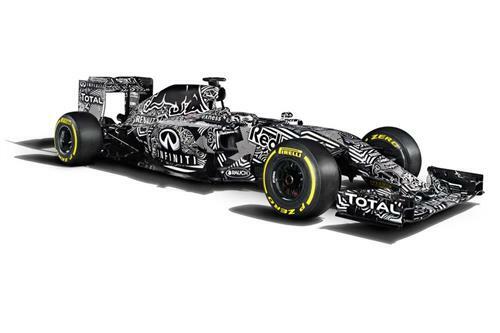 One of the big questions is which Red Bull we will see today. 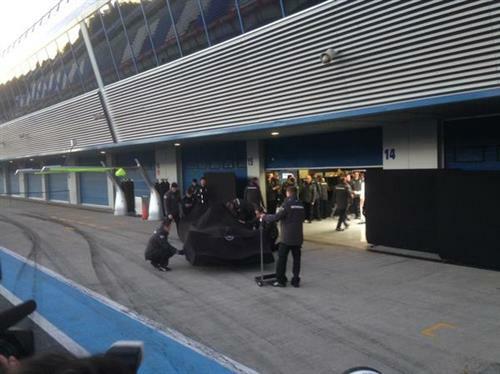 Last year's RB10 is believed to be here, but the question is whether it's just a back-up for the new RB11 or whether it will run. 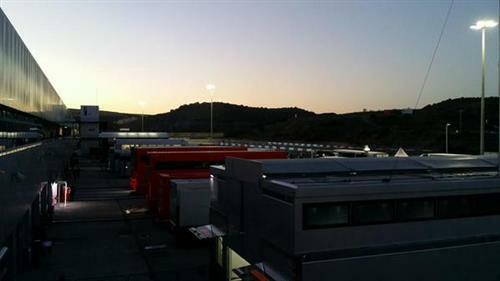 I just heard the Renault engine being fired up behind the garage doors, but as always there was a high level of secrecy over what was inside. We're not sure on the whereabouts of the new Lotus at the moment either. Very quiet from the boys in black, although the team trucks are here. Of course, we know Force India aren't here in any form, so there's even more focus on Mercedes, Williams, Ferrari, McLaren, Sauber and Toro Rosso. However, on the Red Bull front, the media will be treated to a press conference with Adrian Newey and Rob Marshall later today. So we'll have more definitive answers then. 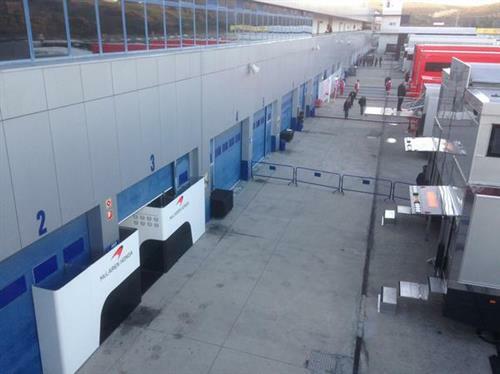 Anyway, in just one minute the pit lane opens for the start of the 2015 season. Anyone excited? If you have any questions today or want to make comments, please feel free to send them our way and we'll do our best to answer. We'll also keep you up to date with times and news from the track as the day progresses. Mercedes is first out of the garage, but a practice start at the end of the pit lane sees Sebastian Vettel in the new Ferrari beat him onto the track. 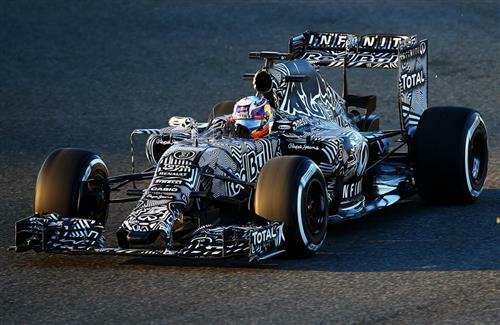 Ricciardo also made it out on track in a camouflaged Red Bull RB11! So, no lap times set so far and the track has fallen silent since the opening laps from Rosberg, Vettel, Ricciardo and Ericsson. We will, however, post and pin the fastest lap times at the top of this screen once the test gets properly underway. For those wondering, Sebastian Vettel was running a fetching white helmet for his first day as a Ferrari driver. The big question is will he stick to it.